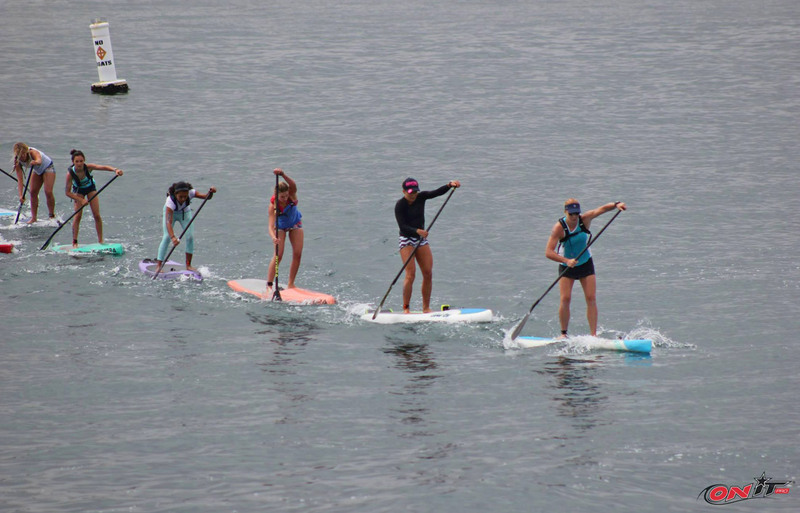 Mo Freitas and Shae Foudy have taken out the 2015 Santa Monica Pier Paddle, after a strong lineup of elite and amateur paddlers lit up the iconic paddleboarding venue on Saturday. Mo triumphed in both the 5 mile distance race and the shorter SUP Cross to make it a clean sweep of the event, while Shae and Annabel Anderson split the wins in the women’s event. Early on in the men’s distance race a group of five contenders broke away: Mo, paddling for the Focus team, Riviera’s Ryan Helm, new JP Australia team rider Vinnicius Martins from Brazil, and Laird SUP duo Chuck Glynn and Noa Hopper, while Starboard’s Giorgio Gomez was never too far behind the pack. The standings stayed much the same until the end, with Mo pipping Ryan by the narrowest of margins, while the highly under rated Vinni came through for a well deserved top three finish after narrowly losing a sprint up the beach with Ryan. After the draft trains produced a tight finish in the distance event, the much shorter SUP Cross race actually saw a wider margin, thanks entirely to the waves. After five minutes of frantic paddling, Mo crossed the line 14 seconds ahead of Vinni, who swapped places with Ryan on the podium. Amazingly, apart from Ryan and Vinni swapping it up, the top eight positions were identical between the men’s distance and SUP cross events. 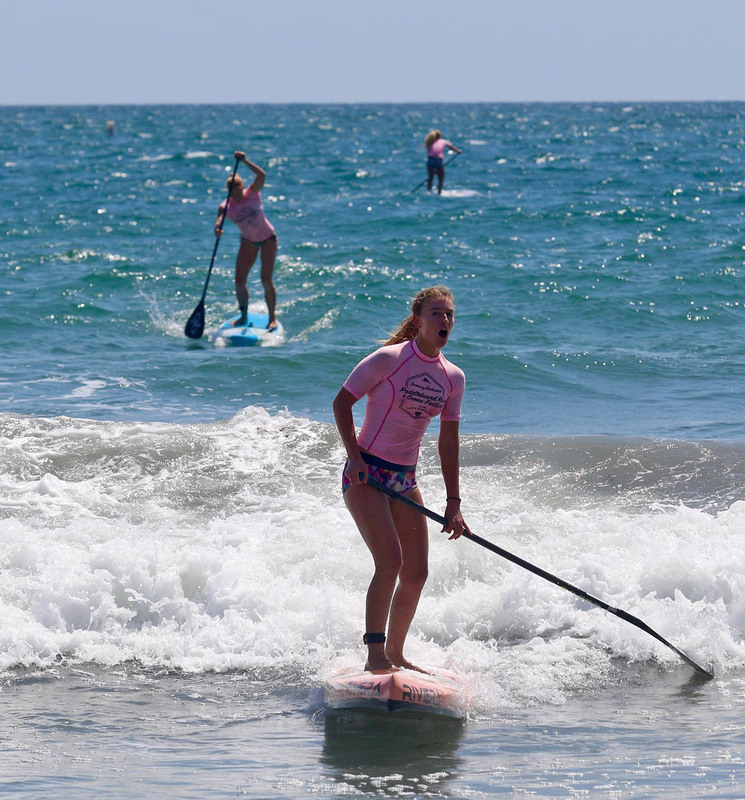 In the women’s five miler it was a BOP rematch, with Candice Appleby, on her signature Bark board, and Lahui Kai star Annabel Anderson going head to head for the first time since Salt Creek. And just as they did eight months ago, the two highest ranked women in the world went head-to-head almost all the way to the line. With calm conditions out the back, the draft trains formed just as quick in the women’s race as in the men’s. However the top few women eventually upped the pace and broke away, with Annabel finding an extra gear in the final stretch to surf her way to the beach a few waves ahead of Candice. Young Shae not too far behind, with SUP stalwart Morgan Hoesterey making a welcome return to elite racing by claiming 4th. A definite name to watch in the future, 14-year-old Erika Benitez, rounded out the top five. 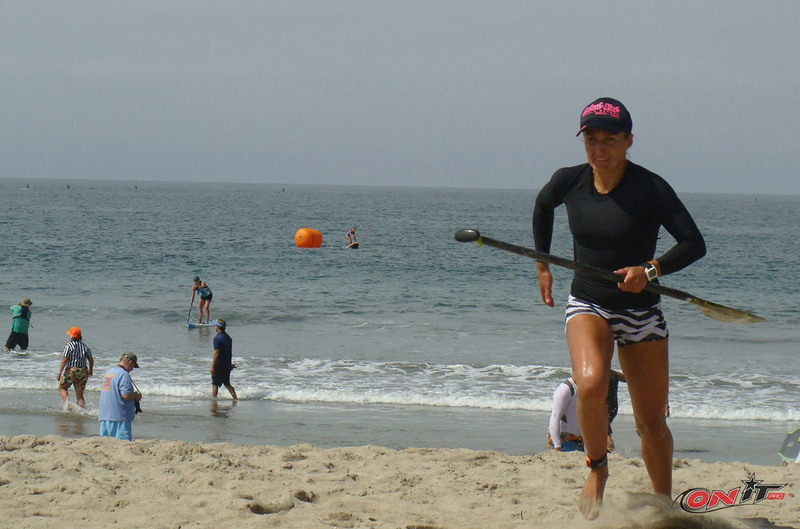 In the short, sharp SUP Cross (basically a mini version of the Battle of the Paddle Elite Race), Shae caused one of the upsets of the season to defeat both of the world’s top two ranked paddlers. After having to settle for third in the five miler, the Riviera team rider made the most of her chances in the waves to claim the win and the overall Pier Paddle title, announcing herself as a legitimate contender in the process. 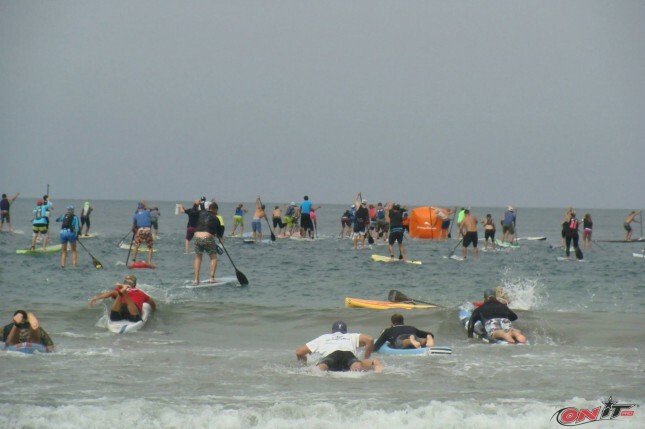 Steeped in history, the Santa Monica Pier Paddle looks like a pretty fun event. 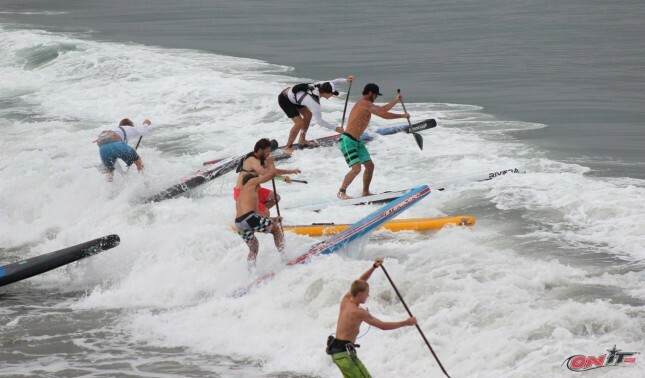 It’s also a lot more significant now that the Battle of the Paddle has left a big hole in the SoCal racing scene. Looks like it was a pretty fun day at the beach despite the grey skies. Anyway you can see the full results below. Both of the women’s races had an impact on the SUP Racer World Rankings, with Shae Foudy jumping two spots to world #8. Unfortunately the men’s races didn’t attract quite enough elite talent to qualify on the Race Index. Wanna see more photos? The ever reliable OnIt Pro was at the event, which means there’s a good 1,000+ photos up on Facebook already. Not kidding… Here’s the Pier Paddle gallery #1, gallery #2, gallery #3 and gallery #4. Mike Muir from Riviera also has a solid album up on FB .